Sometimes in life, you're gifted with things you didn't know you wanted, and never though to hope for, but are so perfect that everything seems right and true in the world. That sensation is exactly what I'm feeling now that I know Neville Longbottom and Stranger Things ' Eleven hung out. If you don't drift around in a fantasy world like I do, you might know these humans as Matthew Lewis, who played Neville throughout the Harry Potter series, and Millie Bobby Brown, who burst onto the scene this past year as Eleven in Stranger Things . While I know a lot of actors don't like to be reduced down to the most memorable role they've played, in the case of these two, they inhabit the characters so perfectly that I almost think of Neville and Eleven as separate from the real life humans who play them. With that in mind, I can't help but imagine how cool it would be if these two fictional characters hung out. Buzzfeed speculates that the two met at a convention of some sort, since they're both involved with such nerdy fandoms — god bless — but, either way, Lewis posted an Instagram of himself and Brown hanging out, with her pointing at his tattoo of the Roman numerals XI on his arm. He even joked that he got the ink as an homage to Brown's Stranger Things character. That connection is definitely too good to be true — Lewis got the tattoo to commemorate the age he was when getting cast in the Harry Potter franchise changed his life — but there are more connections between these two than just the number 11. Eleven's story arc on Stranger Things begins with her as a mute who doesn't understand how to have friends or what friends even means, and by the end of Season 1, she's proven herself to be the most loyal friend, in addition to a downright powerful person to have in your corner. (Literally. She has powers and, near the end of the season, flips a truck over their heads.) Sound familiar? 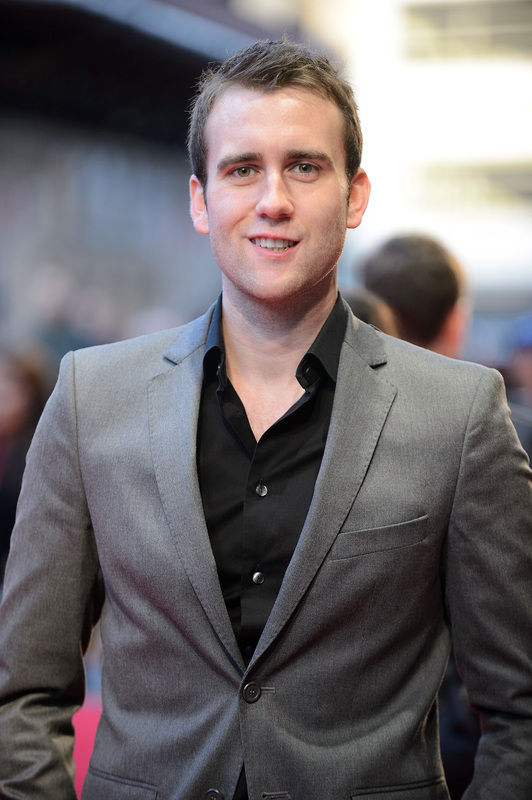 It's hard to think of a less significant character at the beginning of Harry Potter than Neville is, but, by the end, he's the one to destroy the last Horcrux and quite literally save the day. Plus, there's that whole blossoming-into-a-glorious-swan-of-a-human-being thing. Both these characters are more than a little awkward, but deeply and purely good-hearted, so seeing them collide in real life is almost too much for my little brain and heart to take. Imagine if these two had somehow had a crossover, so they were each in the other character's franchise? Imagine if Neville and Eleven had someone to lean on and rely on right from the beginning? I'm honestly tearing up thinking about how beautiful that would be, so maybe just for my own safety and that of my emotions, these two shouldn't be photographed anywhere near each other for a while. At least not unless there's a Room of Requirement full of pillows nearby where I can lie down.